If you’re a mature student looking to progress your career, or don’t satisfy the requirements for entry onto a degree course; this preparation year is for you. This isn’t a freestanding degree. Think of it as the first year in a four-year period of studying that will lead you to a degree linked to one of the built environment professions: architecture, surveying and construction management. The experience you gain during the year, and your discussions with tutors, will help you choose the degree best suited to your interests and abilities. 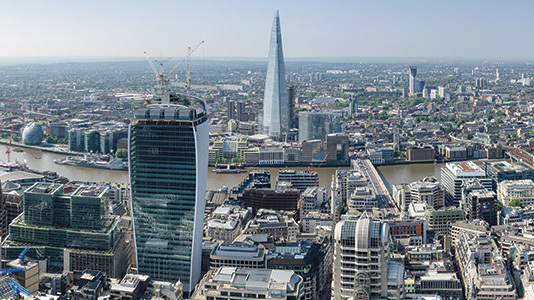 Why study Built Environment at LSBU? 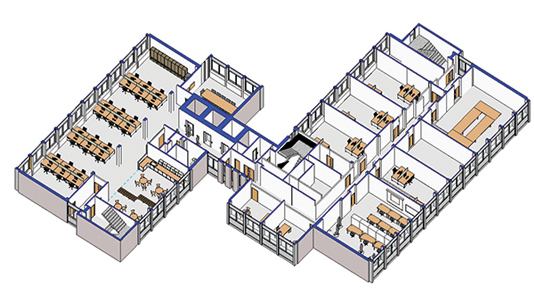 Our subject-specific facilities include a Building Information Modelling (BIM Centre). History: we’ve been educating building professionals for over 100 years – and have strong industry connections. Flexible study: Study full-time or part-time one day a week. Specialist staff with great industry contacts. 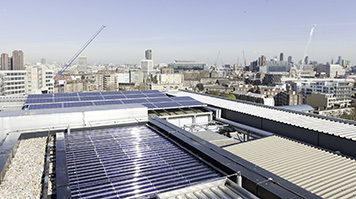 This £2.8million facility is a unique, teaching, research and demonstration resource for renewable and intelligent energy solutions. LSBU is helping transform the construction industry through its Building Information Modelling (BIM) Centre. The BIM Centre acts as a hub for innovation, professional training and networking amongst practice experts in the built environmental sector. These facilities are used by students and for short courses. You’ll start off looking at the subjects that you’ll face in your first year of degree studies, setting you up with the academic and technical grounding you need. For details on modules at degree level please look at the individual course entries of your chosen progression route. This preparatory year is all about giving you the core grounding of knowledge to move on to a qualification that fits your future career ambitions. You don’t have to have it all worked out in advance, your tutors will be on hand to advise you. The results you achieve may restrict your subject choices. This module will introduce you to visual design and seek to strengthen the understanding and appreciation of artistic design in all its many forms. Assessment method: 100% coursework. This module will seek to develop this context into an understanding of the use of traditional materials and construction technologies in domestic buildings of the past and the development of the modern technologies used today.The module focuses on the history of the built environment, domestic construction and the role of the institutions and regulatory authorities in the construction industry. Assessment method: 100% coursework. This module focuses on the basic mathematical skills required from you, not assuming any level of previous knowledge. It focuses on areas applicable to your choice of future study. Assessment method: 100% coursework. The module continues to introduce you to visual design and to develop your understanding and appreciation of design in its many forms. Assessment method: 100% coursework. In this module, you'll work together in groups of 3 or 4 to form multi-disciplinary teams to propose and develop a specific idea for a large scale development. The objective requires the development of an idea through field and desktop research, together with its development into a cohesive design proposal by further research, testing and hands-on design, utilising each disciplinary skill within the team. Assessment method: 100% coursework. This module provides an introduction to the workshop and drawing skills associated with students aspiring to a career in architecture. Assessment method: 100% coursework. This module is designed to introduce some of the basic skills required for those entering the construction/surveying field, by providing an overview of many of the concepts expected from the construction professional today. Assessment method: 100% coursework. This module covers the principles of chemistry and physics, at a level between GCSE and A-level. It serves as a preparatory unit for students intending to undertake Built Environment undergraduate degree courses in the University, and introduces you to a range of skills required in both the chemical and physical sciences, as appropriate to your intended programme of study. Assessment method: 100% coursework. This module provides a foundation in study skills, methodology and presentation for the rest of your studies in the University. You'll develop your IT word processing and spreadsheet working skills. The unit involves group work and develops team-working skills and covers exam preparation, revision and question answering techniques. It will introduce you to your own Personal Development Planning process, which should grow and adapt with you throughout your course of study in the University and beyond. Assessment method: 100% coursework. Full-time students, subject to assessment, be considered for entry to all the degree programmes listed. Part-time students undertake five units of study in the year and may then be considered for entry to the HNC Construction programme that may then be credited and counted towards a part-time degree. However, students wishing to study the BA (Hons) in Architecture are advised to study full-time in order to develop their portfolio to the required standard. In all cases, students will need to discuss their options and required grades with the Course Director for their choice of degree. BSc (Hons) Building Surveying (with HNC Construction). Take a look at some potential careers, including building surveyor / architect / quantity surveyor / project manager, on Prospects. London South Bank University has a long history of educating professionals for the building-related industries. With roots in London Council School of Building (1904), Brixton School of Building (1940) we have been offering training for this sector for over 100 years. Our current students and alumni hold key positions in their organisation, often as senior managers and business owners. The experience that you gain during the initial year, and your discussions with tutors, will ensure that you choose the best degree suited to your interests and abilities. You can transfer from one course to another too. However if you're considering Architecture you'll need to decide by the Semester 2 of the Extended Degree Programme. Candidates under 21 who do have the requisite number and level of GCSE or BTEC passes, but in the wrong subjects for chosen degree (i.e. student wishing to study architecture, but with A-levels in science subjects). Marion Temple (2004) Studying the Built Environment, Palgrave. Mike Riley & Howard (2001), Construction Technology 1, House Construction. Bird J.O and May A.J.C. (1987) Technician Mathematics, Levels 1 and 2, Longman. Lawson, B. (1990) How designers think, Butterworth Architecture, Oxford. Banham, R. (1992) Guide to Modern architecture, Architectural Press. Balcombe, G. (1985) History of Buildings, Batsford Academic and Educational, London.